CIRCA 1918 - General Bullard meets General Petain at Rampont. 4k00:251930s: Farm. 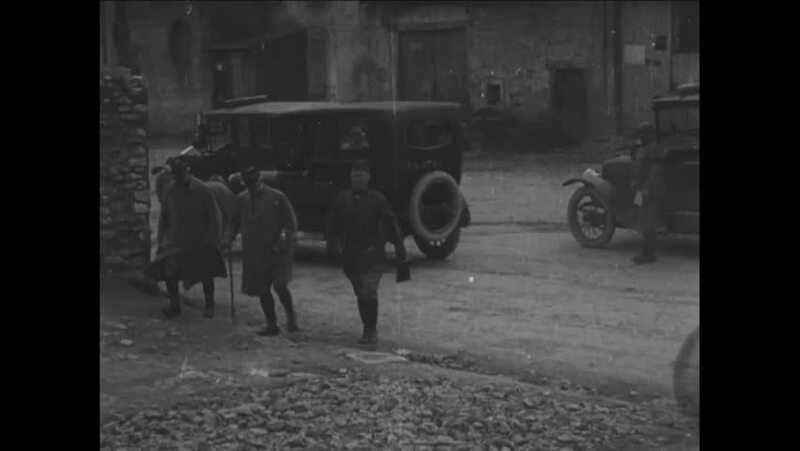 Team of horses pull man and crate of pigs. Man unloads pigs from crate. Text reads "The pasture is safe too- no hogs have been on it since it was sown." 4k00:18CHIANG MAI PROVINCE, THAILAND, DECEMBER 1983. Group Of Mahouts Riding On Six Elephants Commanding Them To Pile Up Heavy Tree Trunks On A Stack In The Rain. hd00:12UNITED STATES 1940s – Elephants are guided into a field while circus men are busy building the infrastructure of a tent.